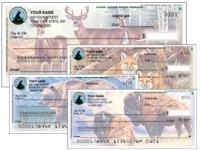 Rescued Animal Rights Checks Appeal To Animal Lovers. 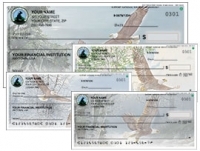 Whether you love rescued animals or support Defenders of Wildlife, you'll find some artfully designed personal checks to celebrate your cause. The world is in need of people who can adopt rescue animals. Whether you want an adorable rescue cat or rescue dog, when you support the ASPCA with the purchase of ACPCA Rescue Checks, you'll be helping animals live a better life.